Many people don’t realize it, but images can make or break a website. Websites are first and foremost a visual representation of your business and overall brand. Having low-quality images or poorly taken photographs on your website can ruin the first impressions of your new viewers. Even worse, many users will straight up leave your site if you don’t have respectable imagery to accompany it! What’s the simplest way to avoid all of this? Getting high-quality, professional photography for websites. No website should be without quality images, not with today’s digital standards. Credibility – The moment you put up an image that is pixelated, stretched out, badly lit, too small, and/or any of the other low-quality image giveaways, you immediately lose credibility. These common pitfalls can stem from a number of issues, the most common being using images that were taken with phones or other lower quality cameras, using bad stock photos or digging up old images that simply don’t translate to online use well. High-quality imagery and videos are now the norm, and people expect credible companies and organizations to follow suit. It’s a visual game and it is up to you to provide your users with the best experience possible. 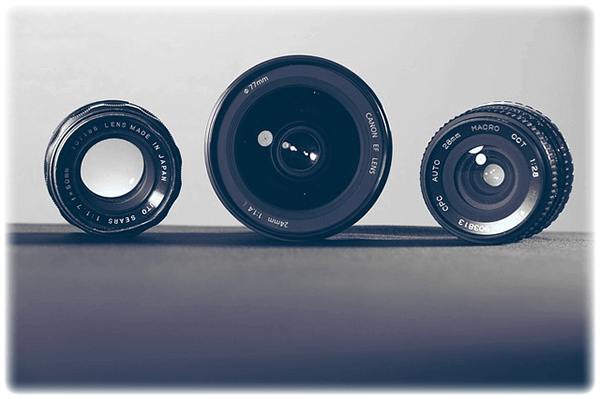 Customization – When getting professional photography for websites you have the ability to choose exactly what gets taken and how the end product will look. You have complete customization. This is something that can’t be achieved when you solely use stock photos in your website design. Distinction – Another downside of stock photos is that stock photos don’t depict your actual company or organization. Using professional photography for websites gives the user an idea of who you are. Whether it be professional headshots for employees or actual photos of your building, photos like these bring distinction and a personal identity to your website. We don’t want to discredit stock photos, we use them all the time (aka, right above this sentence). We just think that for most industries, professional photography for websites is the way to go. With it, you can add credibility to your site, customize each and every photo to your liking, and add a layer of distinction that you simply can’t get with stock photos. It’s the be all end all for website visuals. Ok, I’m sold on photography for websites. Now what? At DTD we offer a slew of professional photography services. You’d be surprised how many things are made better with the addition of photos. Building a new website? (we do that too) Want to update your current site? Re-branding? Needs advertisement images? (for remarketing solutions or a Facebook advertising strategy perhaps?) Christmas photos for the family? New team photo for the business? Maybe you just want someone to follow you around all day taking pictures to document what an average day-in-the-life is like. Any of these could be put to good use on your website, and any of these are reason enough to enlist the services of a professional photographer.